Time to get these dates into your Diary. Exciting new drama piece directed by Geoff O'Keeffe which will be performed as part of the Life of Reilly Festival in August. Casting Call for all budding actors and actresses who would like to be part of a Drama called 'At the Black Pig's Dyke'. Auditions will be held on Thursday 6th June and Monday 10th June 7:30pm at The Backyard, Moynehall, Cavan. For further information click on the attached link. As part of Cavan Culture’s forthcoming Theatre Project, a number of acting workshops will be held at various locations in the county. 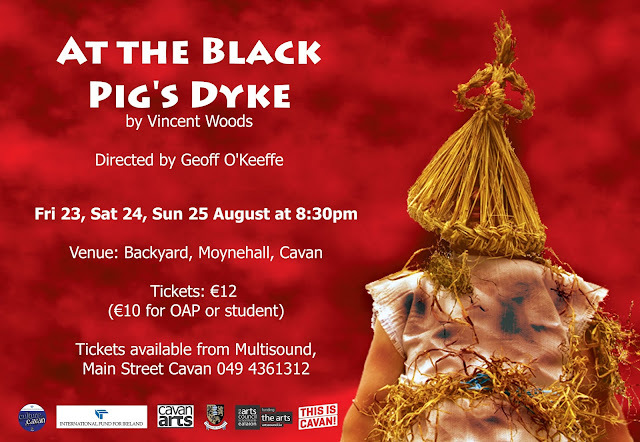 The worksops will be facilitated by Geoff O’ Keeffe, who will direct At The Black Pig’s Dyke by Vincent Woods with a group of community players during the summer months, leading to performances at selected venues in August. These preliminary workshops offer participants the opportunity to explore various elements of stage craft within a supportive and warm environment. The workshops are not intended as auditions for the project, but they will afford interested parties the chance to work with the director. An open casting call will later be issued inviting expressions of interest from community players to audition for roles in At The Black Pig’s Dyke. These initial workshops will be of 2 hour duration and will be held at the following locations on Satuday 20th April Swanlinbar @ 10am and Belturbet @ 2pm and Sunday 21st April Drumavaddy Community Centre @ 12noon and Kingscourt @ 4pm. The workshops will explore movement, ensemble work, characterisation, and voice work using the text of At The Black Pig’s Dyke as a springboard for investigation. They are open to all levels of experience. Participants must be over 18. To register your interest in particapting at one of these work shops, please email annoreilly@cavancoco.ie or telephone 049 4378629. 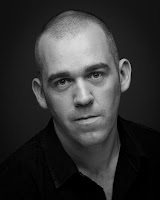 About the director: Geoff O’ Keeffe has worked as professional director, actor writer and drama adjudicator. He holds an MA in Theatre Stduies and in 2010 he completed further training at The Focus Theatre Actor’s Studio. He recently directed critically aclaimed productions of Macbeth, Santa’s Cracking Christmas Adventure, Sharon’s Grave and A Christmas Carol for the Mill Theatre Dundrum. He is an award winning actor who has worked on stage, tv, radio and film.